Headphone technology has made significant strides since the first audio listening devices were invented more than a century ago. Originally little more than buzzy speakers clumsily held in place over the years, headphones have evolved to provide a rich listening environment that is adaptive to the user’s needs. Breakthroughs in portability, magnet design, and ergonomics have created enormous diversity in headphone styles, giving every listener a choice in how best to enjoy music, video games, and other aural experiences. There is a big difference now between chucking on a pair of 20 year old headphones, and putting on a set of the best surround sound headphones that are available today. In this guide, we will look at the ten best surround sound headphones for 2019, then dive into the detail on the things to consider when buying, and how surround sound works. Available in three futuristic designs, the SADES Wolf give you outstanding dynamic range to deliver bone-shaking bass and yet keep subtle high frequency sounds clear. With a built-in microphone that includes in-line volume and mute controls, the SADES Wolf headphones make cooperative game play a fun and immersive experience. 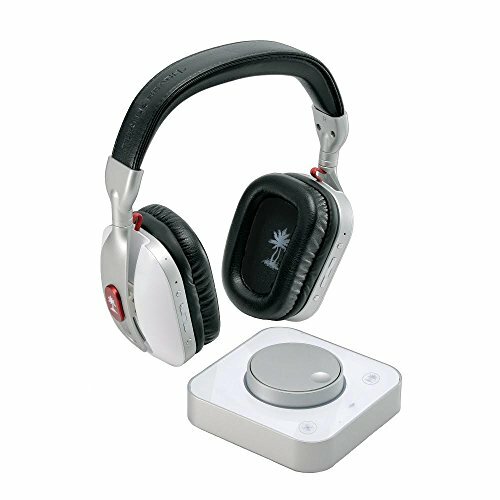 Designed for a range of computing devices that use a standard 3.5 mm plug, the SADES Wolf feature LED lights on each headphone cup to add a unique visual dimension to game play. 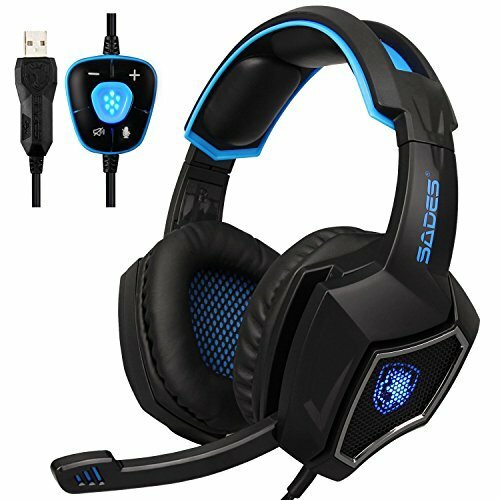 The SADES Wolf gaming headset using a proprietary 7.1 decoder chip to faithfully create a 360-degree listening experience. 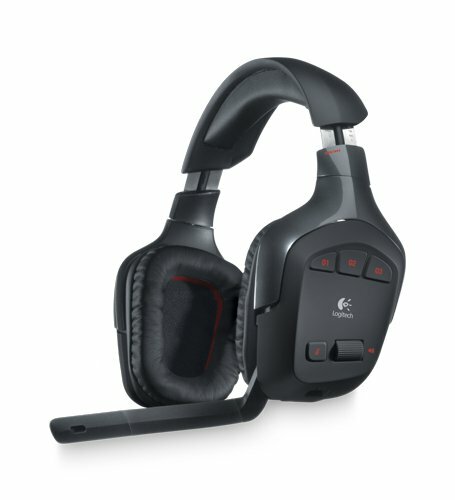 From one of the premier manufacturers of gaming accessories, the Logitech G930 gaming headset packs seven discrete audio channels in each elegant black headphone cup. With a powerful unidirectional microphone that can be rapidly flipped up to mute, the Logitech G930 gaming headphones are ideal for today’s cutting edge video games. A special LFE channel adds depth and richness to in-game sound effects while the 40mm drivers deliver high fidelity sound from 20Hz all the way up to 20 KHz. A powerful battery and comfortable cup design allow for up to 10 hours of comfortable game time using a lag-free 2.4 GHz wireless USB connector. The Logitech G930 feature three programmable “G-Keys” to add fine control over the gaming experience. 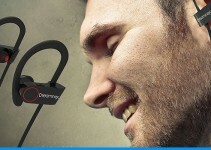 Designed for committed gamers and audiophiles alike, the XIBERIA T18 gaming headphones are designed to plug and play with computers and game systems with no drivers or lengthy set-up necessary. 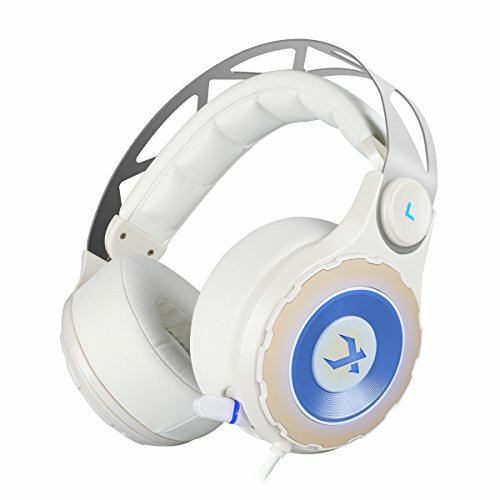 A uniquely ergonomic design with real leather ear cups and padded, adjustable headband provide additional comfort for lengthy game sessions. 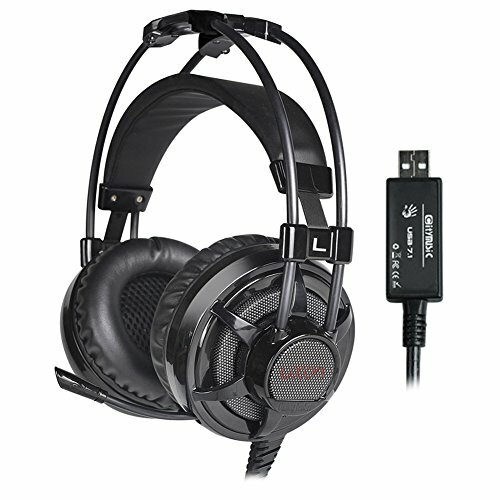 The 6.56-feet long heavy duty cable provides lag-free, tangle-free connection to your favorite games while the in-line controls allow for one-touch adjustment of volume, lights, and muting of the microphone. Two powerful 40-mm drivers deliver powerful bass and crisp high sounds for truly immersive gameplay. 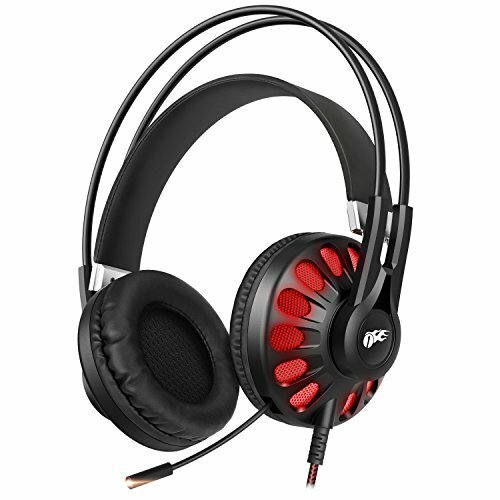 This USB gaming headset from 1byone comes in an attractive red and black design with optional synchronized red lights for a truly immersive gaming experience. 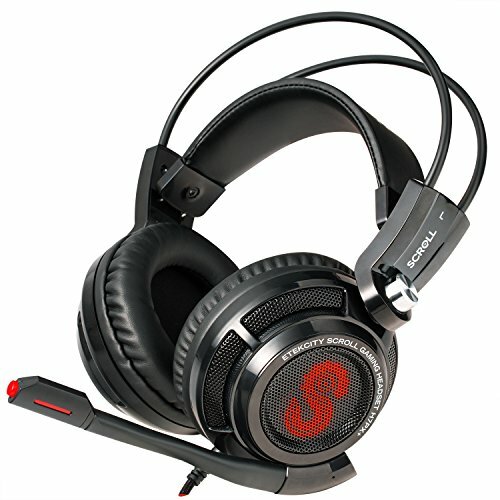 The microphone is retractable and includes in-line controls, ideal for multiplayer games. The 1byone USB headset includes several drivers so you can custome the sampling rate, equalizer, and audio profile. A red light illuminates when the microphone is active so you’ll always know when you’re “on the air” while the 2.2-meter braided cord ensures reliable, lag-free audio connection to your game. 1byone’s built-in virtual 7.1 surround technology allowers gamers to hear faint footsteps and other critically important audio cues. Looking like they’ve been beamed back to our time from the future, the SADES SA710 gaming headphones were designed by gamers to provide a rich sound environment for today’s popular games. With a slick neon blue and black design, the SADES SA710 use a proprietary 7.1 surround sound processor to create a rich 360-degree aural experience. The SADES SA710 weigh just 8.3 ounces and use an ergonomic ear cup design to provide enhanced comfort during long play sessions. A boom microphone delivers clear audio to teammates during the heat of battle while the 7.22-feet long cord with in-line controls prevents lag that could interfere with critical game missions. The Luxon headphones deliver everything you need to enjoy an immersive gaming experience with your Windows PC, Mac, or PlayStation 4. 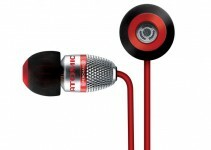 A retractable microphone and in-line volume control enhance the excitement of team play while the on-ear LED lights add a unique visual element. The proprietary 7.1 surround sound technology deliver a richly immersive experience while the durable 86.6-inch long cable eliminates lag. Available in seven vibrant color choices, the Siberia 150 gaming headset uses a USB connector to deliver lag-free audio on your favorite PC, Mac, or Playstation 4 games. The closed, soft leather ear cups block out ambient noise while providing hours of comfort during extended game play. 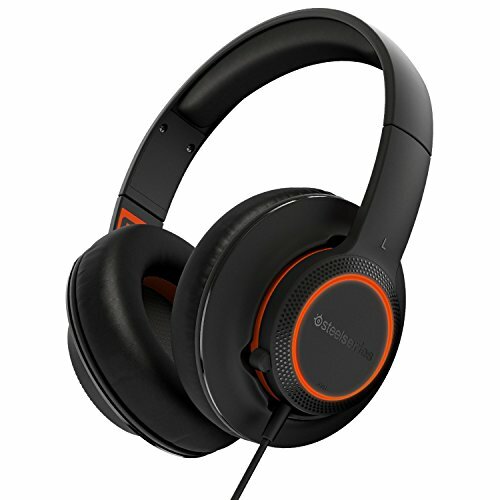 The proprietary SteelSeries Engine 3 technologize allows for customized 360-degree audio experiences while programmable LEDs on the ear cups add a unique visual element. A low-profile microphone delivers crisp communication for enhanced team gameplay. Another excellent entry from one of the leading manufacturers of gaming headsets, the Logitech G633 use genuine Dolby 7.1 and DTS technology to deliver a highly immersive gameplay experience. Up to 16.8 million colors can be displayed on the programmable LED ear cups while the foldaway noise-canceling microphone gives greater versatility to team challenges. 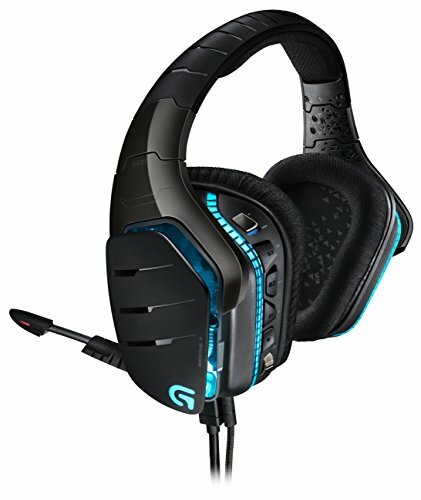 The Logitech G633 uniquely have two inputs allowing for simultaneous wired connections to your game and a phone so that you can answer calls without interrupting all the exciting onscreen action. This uniquely elegant headset from Turtle Beach uses wireless connectivity and boomless microphones to deliver an immersive gameplay experience. The Turtle Beach i60 technology creates a genuine DTS 7.1 surround sound immersive game play using powerful 50mm drivers. With your option of either WiFi or Bluetooth wireless connectivity, the Turtle Beach i60 headset is ideal for use with all your favorite PC games or smartphone device. The Turtle Beach i60 comes with its own mobile app to customize the audio for a truly bespoke aural experience. With an instantly recognizable red S emblazoned on the ear cups of these stylish black surround sound headphones, the Etekcity headset comes with enhanced bass response for a very rich audio experience. The over-ear cup design blocks out ambient noise while the boom mic delivers crystal clear communication to your teammates. An in-line control button can be adjusted to change audio settings on the fly while the enclosed CD allows you create customized audio profiles for all your favorite games. It was in 1940 that legendary artist and director Walt Disney first collaborated with conduct Leopold Stokowski to create the first surround sound experience for the movie Fantasia. Released in 1941, Fantasia’s audio tracks were recorded on specially built banks of microphones to give audiences the sensation that the action was happening all around them. But until Dolby Laboratories patented their unique form of surround sound technology in 1976, it was expensive and difficult to produce an authentic 360-degree listening experience. In 1983, director George Lucas perfected the THX certification, giving moviegoers access to an innovative four-channel system that created a more immersive listening experience. 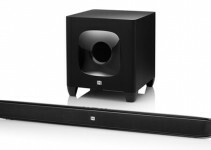 Today, the term surround sound refers to the Dolby AC-3 audio classification that uses a 7.1 configuration of speakers mixed with a low frequent effects channel to create true 360-degree audio. Headphone designers have always been restricted by the sheer fact that audio engineers only have two different speakers to work with. Displaying remarkable adaptivity, creative headphone engineers have created numerous discrete speakers inside each headphone cup that mimics the surround sound experience. Using advanced algorithms, sound waves are attenuated so that they seem to be reaching the ear from different angles, synthetically replicating what happens in real life when sounds change depending on their direction of origin. Today, every manufacturer of surround sound headphones use proprietary secret methods to carefully craft the interior of headphone cups to provide a truly immersive listening experience. Some experts divide surround sound headphone technology into two categories: virtual and real. The truth is, however, that there is no agreed upon technical standard for these two terms, the former referring to advanced algorithms that attenuate sound waves to create a more immersive aural experience and the latter referring to complex arrangements of discrete speakers in each headphone cup to adapt sound waves. All of today’s surround sound headphone manufacturers use a proprietary blend of “virtual” and “real” surround sound technologies to give users a 360-degree aural experience. When investing in a good pair of surround sound headphones, the first step is to identify what the principal purpose of the headphones will be. 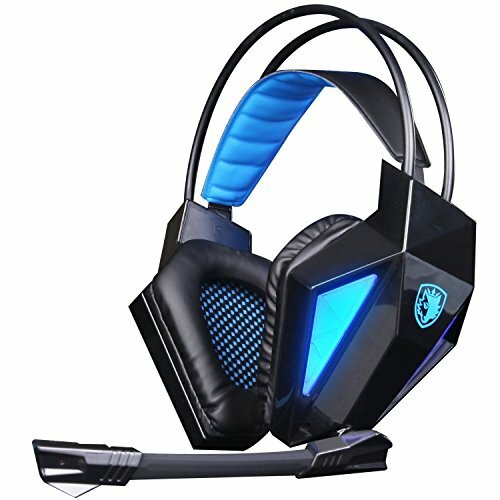 Some surround sound headphones are better calibrated to the unique in-game environments of today’s high-end video games while other headphone models are more suitable for crafting an immersive music listening experience. Many of today’s most advanced video games use audio cues to assist players in achieving objectives. Whether it’s the whine of an incoming missile or the subtle breathing of a foe lying in wait, identifying not just the identity but the location of a sound can provide players a critical advantage in successfully completing game missions. Today’s best surround sound headphones for gaming include noise cancellation features with plenty of dynamic range to create a fully immersive gaming experience. Whether you want to recreate the thrill of a live concert performance or want to be surrounded by crisp notes, surround sound headphones designed for music listening can provide an immersive experience. Many of today’s best surround sound headphones for music have Bluetooth connectivity to allow you to dance and advanced insulation to cancel out distracting ambient noise. In order to ensure a truly high-fidelity listening experience, surround sound headphones ideal for audio monitoring come with special earmuffs and insulating cups that electronically and/or physically block ambient sounds. Buyers of monitoring headphones should ensure that the cup and headband design can provide hours of comfort during extended listening sessions. For a relatively small amount of money, anyone can now enjoy a richly immersive surround sound listening experience thanks to innovations in headphone design. Today’s surround sound headphones use a combination of advanced algorithmic processing and multiple built-in drivers to provide a truly authentic 360-degree listening environment. Whether you’re choosing surround sound gaming headphones to gain the edge over competitors or surround sound headphones for music to savor every note, today’s headphones provide a bevy of options to enjoy the thrill of immersive sound at a fraction of the cost of high-end home theater speakers. By carefully reviewing and considering the top surround sound headphones on the market, everyone can now enjoy the wonders of multi-directional sound.